I’m actually not surprised that these exist. I know Drake’s into some not-so-common silhouettes, but this was a little out of left field. 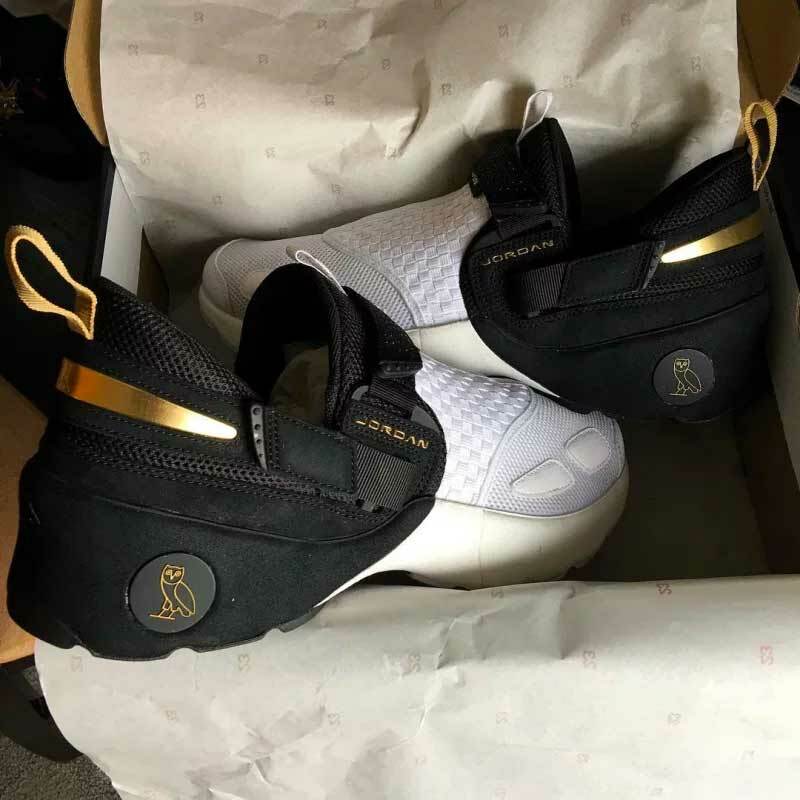 At the new Jordan store that opened today at 306 Yonge street in the 6, these Black and Gold Trunners sporting the OVO owl surfaced. You may have already seen him during the week rocking a White and Gold pair, too. I actually dig both coorways hard, and I’m hoping for a wider release. And given the lack of popularity for the Trunner, we may actually see it as part of a General Release – but you know the hypebeasts will be out for this, just like the Suptempo’s, OVO 10’s and Supreme Foams – three other low performing silhouettes that spiked crazy interest.